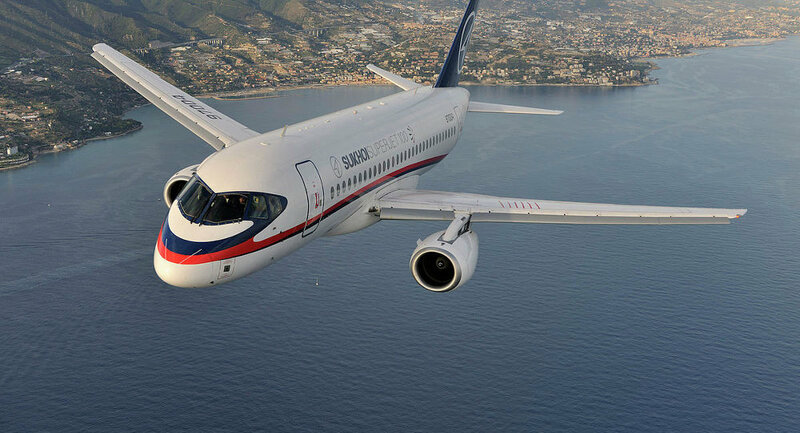 While Boeing and Airbus are seeking to return to the Iranian market, Russia may soon deliver Sukhoi Superjet-100 passenger aircraft to Iran. MOSCOW (Sputnik) — The intergovernmental commission will consider the possibility of the delivery of Russian Sukhoi Superjet-100 (SSJ) passenger aircraft to Iran, head of the Russian Foreign Ministry's Second Asia Department Zamir Kabulov said Tuesday. * * * He added that the issue could be discussed by the sides at the meeting of the intergovernmental commission, scheduled for the fall. "We offered them our Superjet-100. This issue is being assessed. No wonder Boeing and Airbus have an ear to the ground. They are trying to return to the market. We'll see. It is the sovereign right of the Iranian government — to choose a supplier of the planes,” Kabulov told RIA Novosti. Iran is interested in acquiring Russian Sukhoi Superjet 100 aircraft, the country's Vice President Sorena Sattari told Sputnik on Tuesday. "The most important thing is for airlines to buy this plane. I know its size is very convenient for Iran," Sattari said. "I have talked to the leaders of several Iranian airlines, they are interested and enthusiastic about acquiring this type of airplanes."